We are one of the most renowned companies which are efficiently engaged in offering a comprehensive range of Plastic Molding Services in the market. Our product range also includes one of the most exclusive kinds of plastic molding services. These services are very much helpful and reliable for the purpose of designing and constructing the plastic materials and laboratory equipments in desirable shape and sizes. We "MUTHA PLASTIC INDUSTRIES" Manufacturer, Exporter and Service Provider of Thermal Insulation Materials, Insulation Materials, Insulation Ancillaries, Insulation Inspection Plug Seals, Wing seals, Toggle Latches, Plastic Silicone Cartridges, Plastic Pails, Grease Cartridges & Containers, Housekeeping Cleaning Tools and many Moreand many more. 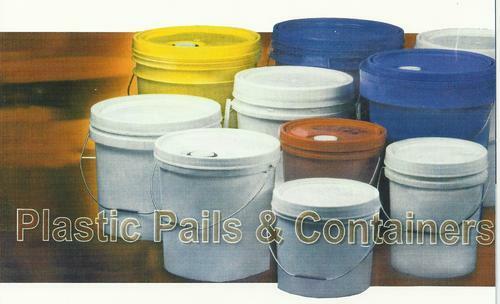 MPI is a well know manufacturer and supplier of qualitative range of plastic containers for grease, oil, paint, ink etc. The offered range is appreciated for features such as dimensional accuracy, durability and perfect finish. We are a Customer Focus company and are committed to our clients. Our Business strategy is perspective on the Customer Relationship Management and we believe that the customers are core requirement for any business, so we believe and foster our customer relationships. Our long term association with our suppliers and our presence in this field since decades us as a long term and committed partner for our customers. Quality Consciousness is our approach towards our work Policy which helps us in achieving our long term business goals and customer relationships.